Set up and maintain a complete, efficient small business financial management system with ease! QuickBooks 2013: The Guide is filled with best practices for handling essential business tasks and customizing QuickBooks for the way you work. Written by an Advanced Certified QuickBooks ProAdvisor with years of experience supporting and training QuickBooks users, this practical resource shows you, step by step, how to use the software to control your businesses finances, process invoices, track inventory, and manage payroll. 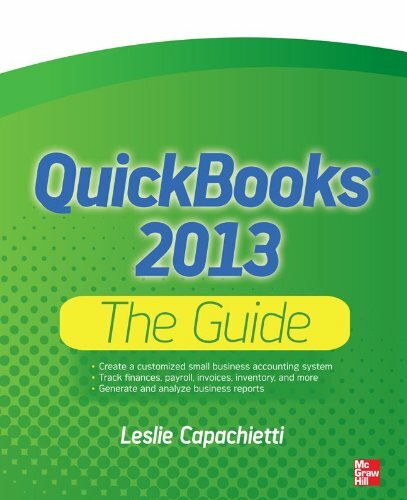 Get the most from the software and run your small business smoothly and effectively using the proven techniques and time-saving tips inside this authoritative guide to QuickBooks 2013.